Most Configuration Manager administrators use update groups to manage deployment of software updates. 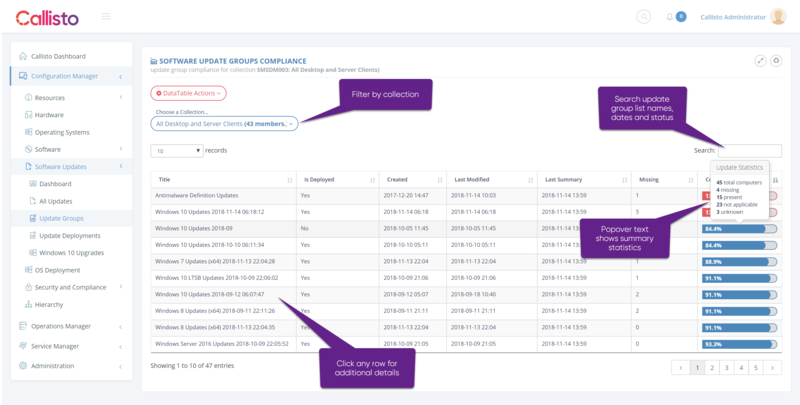 The Callisto Update Groups page shows compliance for each software update group against the selected collection. Clicking an update group will show details about that group, its members, deployment and compliance.